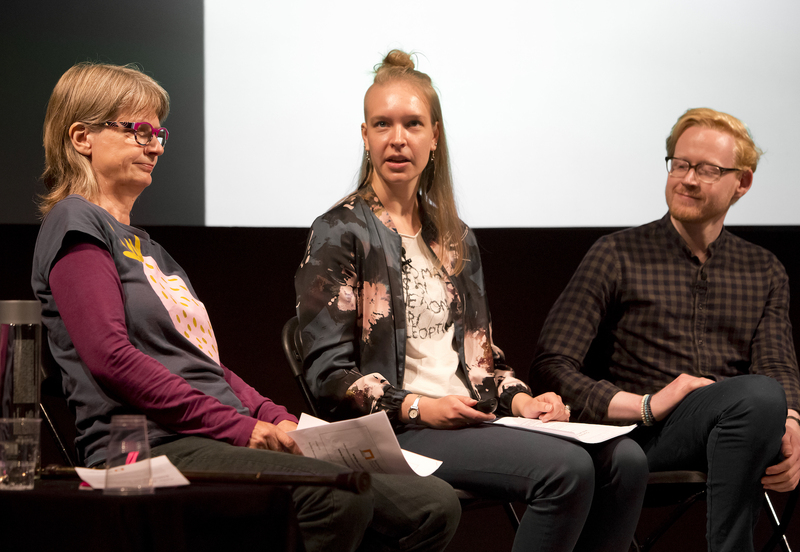 “Disabled people NEED to be leading” was the key message from the panel discussion on Art at the 2018 Unlimited Symposium. We were responding to the question: how can disabled artists change the ‘mainstream’ arts sector? 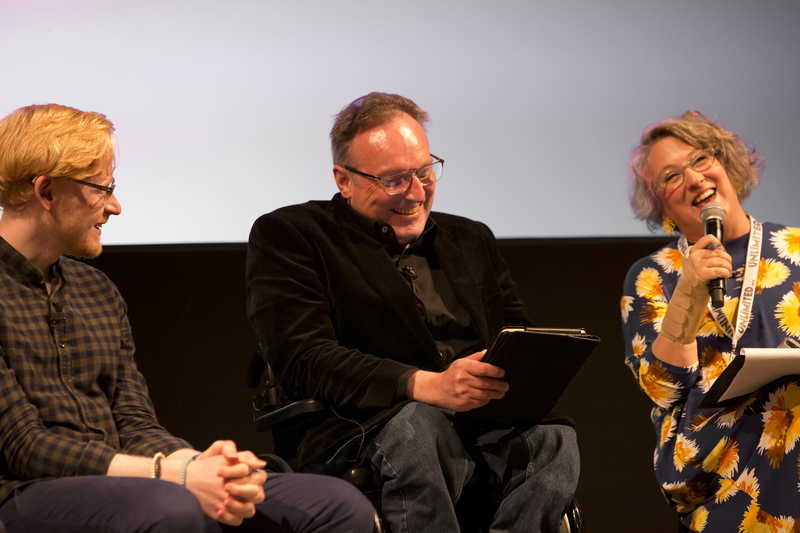 Our panel was united in the view that only when disabled artists’ work achieves wide recognition and disabled creatives lead mainstream arts organisations will real change occur. And we’re making progress! We heard many examples of mainstream success. From the learning disabled band PKN representing Finland at Eurovision 2015 to the Paraorchestra appearance at Glastonbury and Lost Voice Guy’s victory on Britain’s Got Talent. Marc Steene highlighted the problem with labels in art; “labels made by others, not us” and he observed that, “we have an important role to widen who can be artist”. Sari Salovaara and Outi Salonlahti from Helsinki’s Culture for All continued that theme by asking, “Who decides quality? Who chooses who can be an artist? The gatekeepers of the arts need to be challenged”. As individuals working in the arts we must ask ourselves what we’re doing to challenge preconceptions and prejudice and to ensure that the best of art is properly supported. It’s a moral, civic and cultural responsibility. For me, there was one surprise. The extent to which our international disabled colleagues look to the UK for leadership and inspiration. It was clear both our artistic ambition and policy frameworks inspire the world. In my breakout session focused on the ACE Creative Case for Diversity, we heard over and over again that the UK occupies a privileged position. And that makes me even more determined to dismantle barriers for disabled people to access training, employment and representation in UK arts. Knowing that in achieving better equality here, the world will be watching and preparing. As Tim Wheeler observed of our discussions on Twitter, “What an exciting and precarious place we are at”.